He has written more than 100 papers, conference articles and books. On Google Scholar you can find most of his research. and tourism. He is open to any other topic related to marketing and teaching. He has co-authored articles in a variety of journals such as: Corporate Social Responsibility & Environmental Management, European Journal of Marketing, International Journal of Contemporary Hospitality Management, International Journal of Bank Marketing, Journal of Business Ethics, Journal of Business Research, Journal of Brand Management, Journal of Product and Brand Management, Online Information Review Service Industries Journal, Studies in Higher Education. 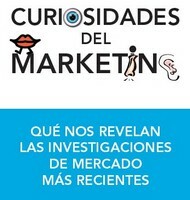 In 2014, Ediciones Piramide published "Curiosidades del marketing" (Marketing Curiosities), an informative book put on sale in the main Spanish bookstores. Many of his works have been carried out with colleagues from the Generes Group, a leading research group in Spain.